Barracuda Sintesy Retro round mirrors, attachment to the handle, for your Honda CB650F, CB650R Neo Sports Cafe, CBR650F and CBR650R. Delivered in pairs. Four colors available. 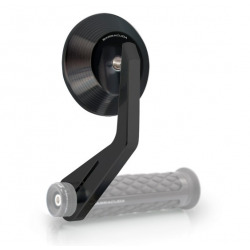 Compatible handlebar diameter 22-30mm. Mirrors approved for use on the road. 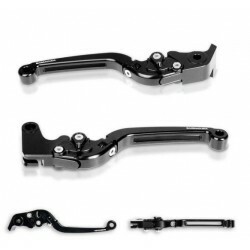 Barracuda levers (clutch and brake) for CB650F, CBR650F, CBR650R and CB650R Neo Sports CafE. Made of black anodized aluminum, adjustable and foldable. Accessories : possibility of adding colored extensions (in addition to black already included). 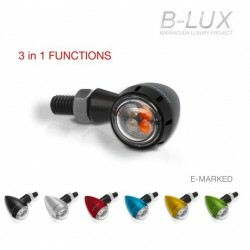 S-LED3 indicators from Barracuda, b-lux series with several colors available. Barracuda's innovation with these indicators that integrate 3 functions: classic turn signal / stop / night light. Small in size and road-approved, they fit on all 650 Honda motorcycles, but look great for the new CB650R Neo Sports Cafe. 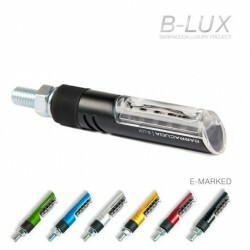 S-LED indicators from Barracuda, b-lux series with several colors available. Small in size and road-approved, they fit on all 650 Honda motorcycles, but look great for the new CB650R Neo Sports Cafe. 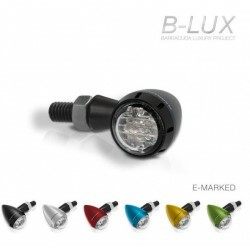 Z-LED turn signals from Barracuda, b-lux series with several colors available. Approved for the road and adaptable on CB650F, CBR650F but also CB650R Neo Sports Cafe and CBR650R. Compact, futuristic and elegant. 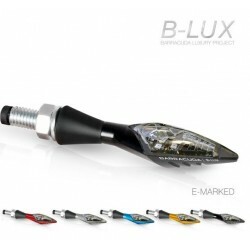 X-LED turn signals from Barracuda, b-lux series with several colors available. Approved for the road and adaptable on CB650F, CBR650F but also CB650R Neo Sports Cafe and CBR650R. Powerful, thin and discreet. 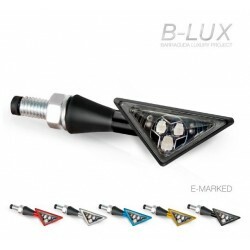 Idea turn signals from Barracuda, b-lux series with several colors available. 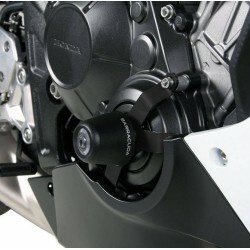 Approved for the road and adaptable on CB650F, CBR650F but also CB650R Neo Sports Cafe and CBR650R. Powerful brightness for better visibility / safety. 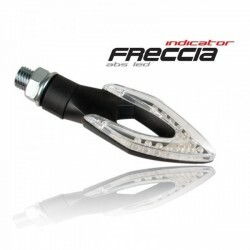 The Freccia indicators are approved and suitable for your CB650F/CBR650F/CBR650R/CB650R Neo Sports Cafe. Designed by Barracuda, they offer a futuristic look with LED lighting and central hole. Sold in pairs with resistance.